Capital News Online: Online magazine run by students in the journalism program at Carleton University in Ottawa, Canada. Covers primarily Canadian government stories. CSPA’s 21st Century Scholastic Journalism: Collection of critical essays and other resources regarding the future of scholastic journalism and the new standards for the 21st century. Diversity Job Bank: National newspaper job bank promoting newsroom diversity. Gaylord College of Journalism and Mass Communication: The award-winning design of this site provides students with information and news items, including calendars, scholarship information, and course synopses. NewsHour Extra: Features media and other lesson plans and discussion activities based on current events. The Media History Project: Comprehensive media history lesson from the University of Minnesota J-School. Newseum Education Center (for teachers): Teaching tools and lesson plans. For advisers: New York Times Web site: daily news quiz, ask a reporter, lesson plans. 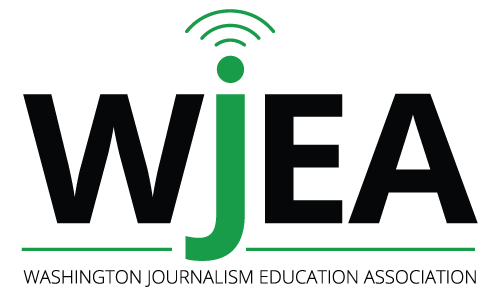 www.jideas.org: Teaching tools, journalism standards, free materials and advice. Museum of Broadcast Communications: Online access to select archives with matching lesson plans. National Student Television Award for Excellent Teacher’s page: Get curriculum ideas and awards information.